At IDEA Public Schools, we believe that every student has the potential to matriculate to and through college. We also understand the value academic enrichment and character-development programming provide to help ensure students are spending adequate time studying after school and are preparing for the rigors of college. Programs like the 21st Century Community Learning Centers federal grant program, funded by the U.S. Department of Education, do just that. The 21st Century program supports the creation of community learning centers that provide academic enrichment opportunities for students after school. The program offers students a broad array of activities that can complement their regular academic programs and offer literacy and other educational services to the families of participating children. Unfortunately, the 21st Century federal grant program is at risk of being cut in the president’s budget. It’s puzzling why we would cut programs that have such a positive impact on students, their development, and their educational and career trajectory. The continued funding of 21st Century is critical to our ability to provide high-quality programming for our students. This programming has revolutionized the after-school opportunities available to our students. Thanks to this federal investment, IDEA students at our 21st Century campuses have been given access to increased academic support opportunities and unprecedented enrichment activities. Where opportunities such as music lessons were only available to families who could afford them, we now offer such programs to all students, free of charge. More than 177,000 students have been served by the program across Texas, and, in total, more than 13,300 IDEA students participate in additional after-school programming through 21st Century. Additionally, 21st Century programming provides opportunities for students to engage enthusiastically in math, reading, and science programs, benefiting student performance in these key areas, and teachers have the freedom to innovate projects and labs beyond the regular school day. By working in small groups, 21st Century instructors have developed hands-on programming opportunities that keep students coming back for more. In the Rio Grande Valley, these funds support IDEA’s award-winning Mariachi and Folklorico programs at our IDEA Pharr, Alamo, San Juan, and Mission campuses. Not only do the programs help our scholars develop their artistic skills, but also build and sustain the Mexican-American culture of so many IDEA students. Students at IDEA Donna benefit from specialized STEM (Science, Technology, Engineering, and Math) programming as early as 1st grade. 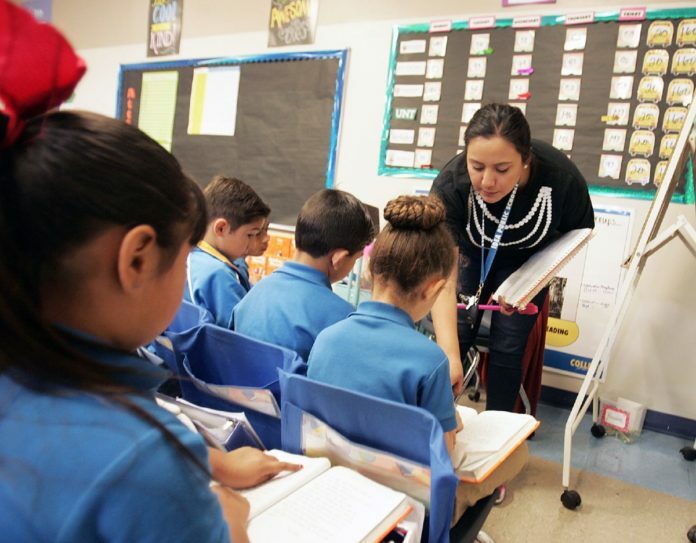 In total, 21st Century in the Rio Grande Valley has served approximately 9,700 students. Teachers report substantial progress in homework completion and overall student behavior among the young people participating in 21st Century programs in their communities. If programs funded through 21st Century can help achieve those results, then we owe it to our children to continue to support these efforts. Every day, we are able to witness the strong and positive outcomes this program has yielded for students in our community. Providing students with a safe haven after school, where they can continue to learn, grow, and foster their talents and passion, is immeasurable. We must do what’s right for the children and families in our community and for the economy. We urge the president, and our local legislators, to protect 21st Century funding and reconsider cutting such vital programs and initiatives that truly work for our kids.